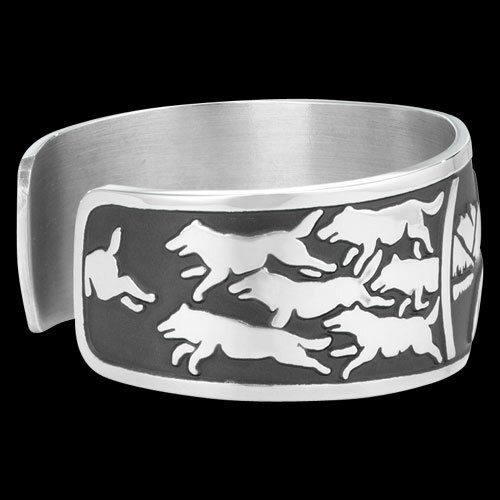 Sterling Silver Wolf Pack Wildlife Bracelet by Metal Arts Group. Due to its loyalty to its pack, the wolf is known for its strong sense of family values. A great team player, the Wolf uses its high intelligence and sense of leadership to develop strong relationships with others while maintaining its independence. 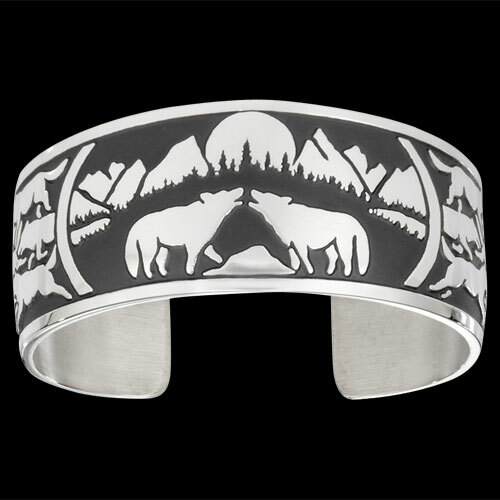 In some native cultures, symbols of the Wolf are given to signify perseverance, intuition, and success. 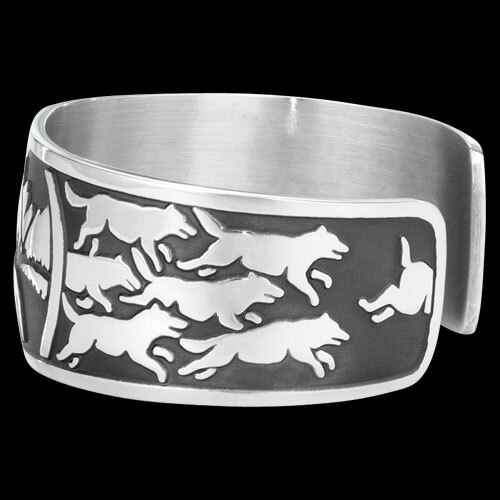 5.5 x 1 inch Sterling Silver Wolf Pack Bracelet by Barry Burger. Made in USA. Fits a 6.5 inch wrist. Ships within 5-10 business days. If you would like expedited shipping, please contact Customer Service.